We are located in Northern California, and have been showing dogs since 2004. All our dogs are raised with great care and with our child's hand. 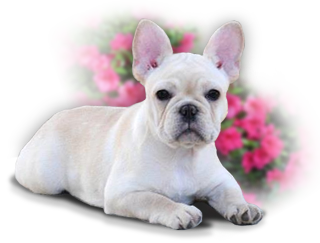 Our goal is to produce a French Bulldog in standard and of quality. On occasion we will have a show prospect pups or pet quality pups available. We thoroughly screen all our potential owners in order to insure that our pups are placed in the best care of loving homes. ByDezyne has taken it's time by putting together this group of Frenchies to achieve our goal of breeding healthy and happy puppies in accordance to the French Bulldog Standard.. We don't take short cuts and believe that achieving our goals takes time and hard work, but it will be well worth the wait when accomplished. If you have not had the pleasure of owning a French bulldog, you are in for the most wonderful treat. This breed of dog is fun to have around and are wonderful companions for any and all ages. Showing our Frenchies brings us so much joy and pleasure as Breeders / Exhibitors and as a Family. They are known as the " clown " breed. The word really serves its purpose for such a silly breed in the show ring and just daily living with one. We would like to thank those individuals who have helped us along the way with their knowledge and insight into French bulldogs and showing. If you have any questions, feel free to contact us. Thank you for stopping by.